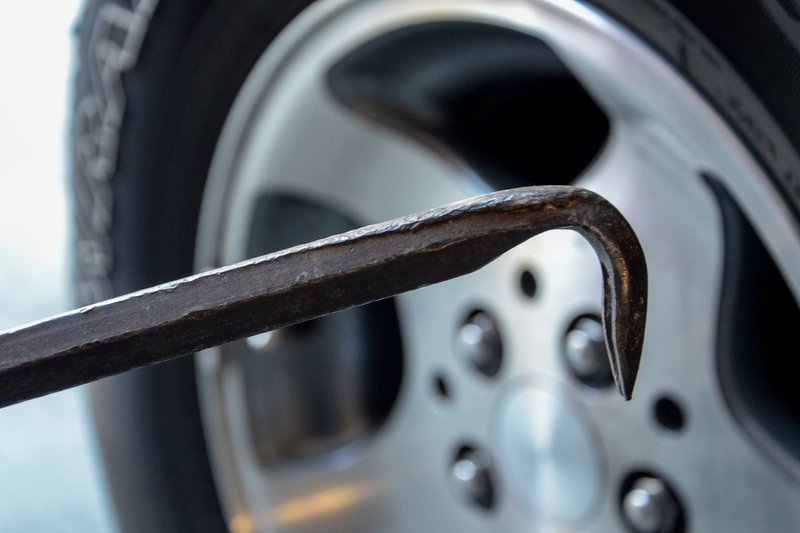 Removing the tire from the rim of a car wheel is not always the easiest thing to do. 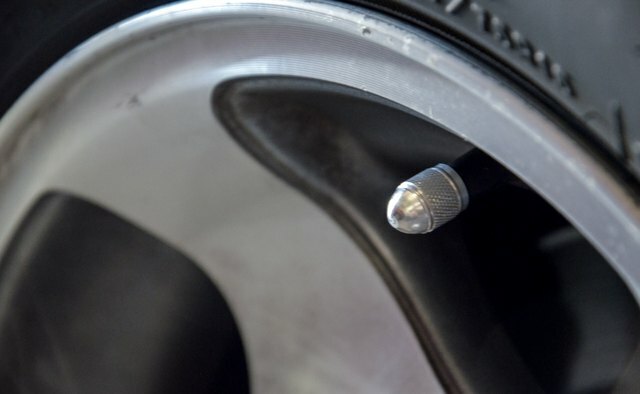 If you need to remove a tire, your biggest challenge is separating the tire's "bead" that is tucked inside the wheel's rim. Many professional mechanics use a bead breaker machine to safely do this, but you'll likely need a cheaper, more accessible option. The good news is that you don't have to worry about any tube within the tire like the ones car tires used to have and bike tires still do. Disconnect the wheel and tire from the car. 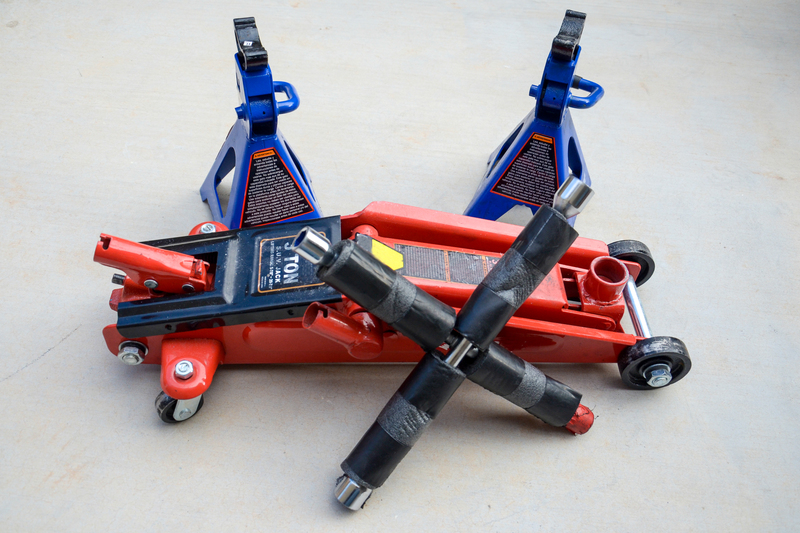 Loosen the wheel's lug nuts and raise the appropriate corner of the vehicle; the stock jack can work, but an aftermarket jack stand works better. Remove the lug nuts in a "five-star" pattern, removing one and then the nut farthest from the one you just removed. Let the air out of the tire if it isn't already flat. Remove the cap from the valve and press on the valve to release the air. The amount of time this takes depends on how much air remains in the tire. 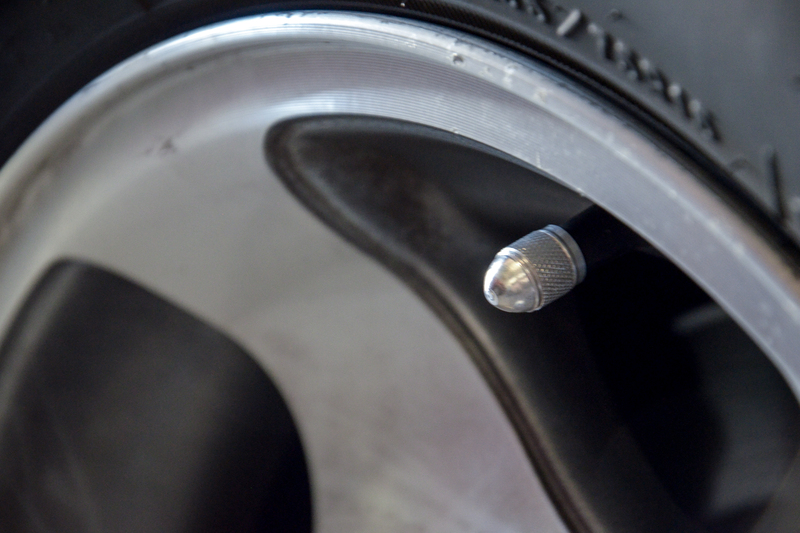 Break the tire's bead off of the rim's edge as the tire lays flat on the ground with the hubcap side facing up. 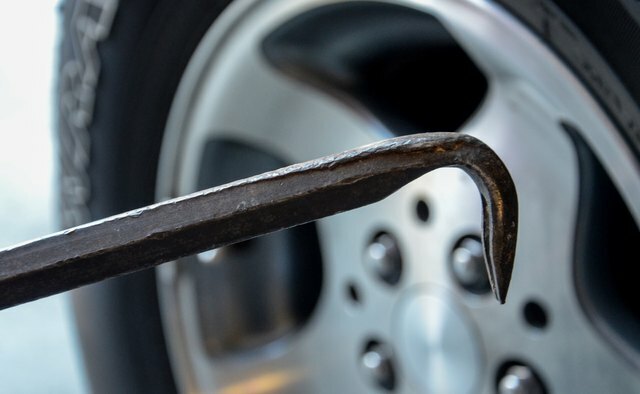 Insert a tire lever or two (a crowbar may also work) into the tire so it catches the inside of the tire's lip and pry it upward. Work your way around the rim until the entire lip is off the rim. Grab the tire by its removed lip and pull it upward so the other lip--the one that was at the bottom of the tire--is now touching the top edge of the rim. Use the lever(s) in a similar fashion to pry the other lip off the rim, completely removing the tire. 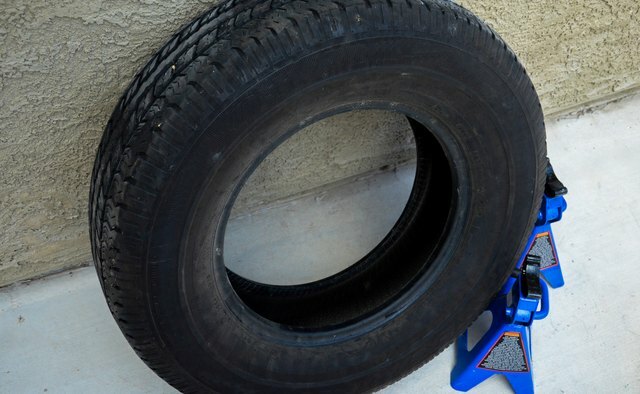 Other methods can be used to break the bead on the tire. 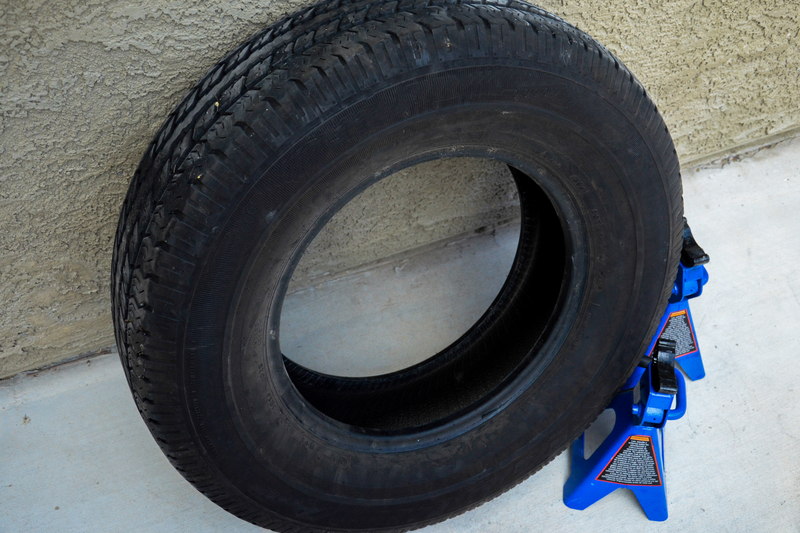 Stand on opposite ends of the tire without touching the rim and rock back and forth until the tire lip begins to pop off. You can also drive another car across the tire as close as you can to the rim and bead. Neither of these are recommended, especially the latter.